Owners on the Web since 1996. This week we continue with the Fuel injection information, we have some new cars for sale and we look at the biggest Mercedes-Benz Club in the world. Changing your e-mail address or want to get off the list? E-mail us here. Inlet manifold vacuum sensor. This is the most important one. Inlet manifolds have a vacuum in them. The vacuum is created by the pistons sucking air in on the downward stroke with the inlet valve open. The throttle body (or butterfly valve on an engine with a carburettor) restricts the amount of air that can freely flow from the atmosphere to the inlet manifold. This causes a vacuum. The amount of vacuum is dependent on how quick the pistons go up and down and the position of the throttle body. At idle, with the throttle body almost closed, there is high vacuum. If you open the throttle body fully, the vacuum will almost drop to nothing. Most driving is done somewhere between these two extremes. The job of the Inlet manifold vacuum sensor is to measure the vacuum and tell the computer. This sensor can also be called a Map Sensor. This is beacuse it calculates the inlet manifold vacuum by comparing it to the atmosphere. Unlike some early injecction systems that had to be recalibrated to run at high altitudes, this system recalibrates itself automatically. Throttle position sensor. This is located on the side of the throttle body. It tells the computer exactly what position the throttle is in. Engine coolant temperature sensor. Located in the head or coolant passage in the inlet manifold, it tells the computer the temperature of the engine coolant. It is responsible for enriching the mixture on a cold engine (like a choke). It is very important to check this sensor if you have poor fuel consumption. If the engine is hot, but a faulty sensor tells the computor it is cold, it will run rich (like the choke has been left on). Inlet air temp sensor. Bit of a mystery this one! It is the only sensor that on many cars you can disconnect. Infact many cars seem to run better with it disconnected. It is located in the inlet pipe for the air cleaner and measures the temperature of the air being sucked in. Trigger points. These are located inside the distributor under the ignition points. They tell the computer which injectors to open when. As they are in the distributor you are timing both the ignition timing and the injection timing when you adjust the distributor. These points must be kept free of oil contamination and dust. The computer can also tell the rpm of the engine from the trigger points. Next newsleter we will do the cold start system. Whats the biggest Mercedes-Benz club in the world? Check out this site. The Mercedes-Benz club of North America anounces proudly on the website that they are "The worlds largest Mercedes-Benz enthusiast club"! The club is broken up into over 90 different sections. Their Bi-monthly 120 page full colour magazine is worh the subsription fees. Have a good look around the site. It really is a credit to the club. 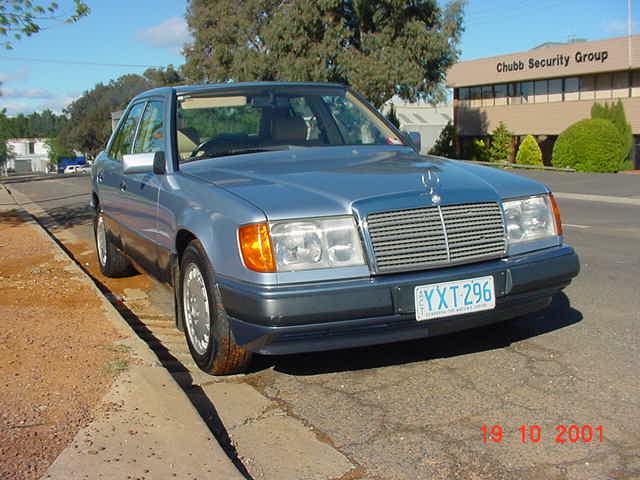 The 300SE coupe has been sold and was shipped to its new home in Melboune on Monday. We have just received into stock two exceptional cars. A 1990 230E and a 1975 280S. Both are local cars with great service history, the 280S has been serviced by us for the last four years and has over $5000 in receipts that go with it. 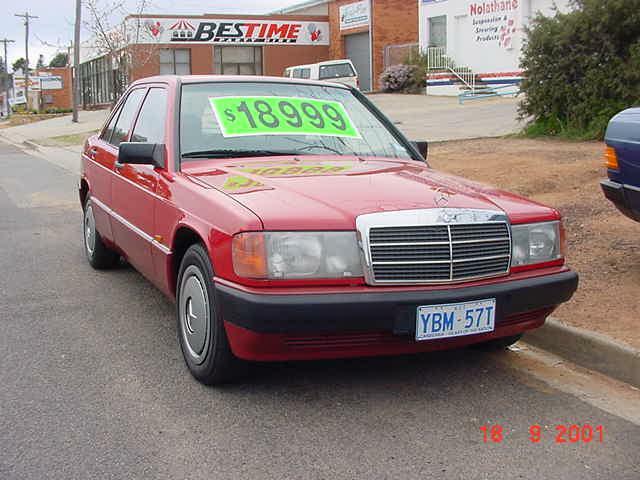 Have a look here at our Cars for Sale page. Also on display will be the AMG version of the new C-class and a Legendary 1954 Gullwing 300 SL. If you want to check them out you have until the 21st of October. Mercedes-Benz' presence at the motor show goes under the title "The Story of Passion", the motto used to mark the brand's 100th anniversary celebrations this year. The focal point of the Mercedes presentation will be the new SL-Class roadster, which is making its southern hemisphere debut in Sydney. No other model captures the sentiment of the Mercedes "Story of Passion" slogan quite as aptly as the new SL-Class. The new open top two-seater is the fifth generation of this successful Mercedes series, a series which began in 1954 with the legendary gullwing 300 SL. 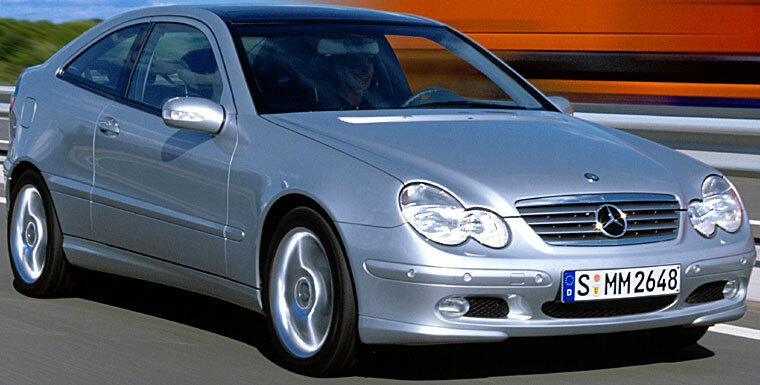 Since then, the Stuttgart brand has produced some 490,000 of these exclusive sports cars. The SL-Class roadster has a unique and impressive package of cutting-edge dynamic handling control systems, unrivalled by any other series-produced car in the world. It consists of the new electrohydraulic brake system, Sensotronic Brake Control (SBC), the Active Body Control system (ABC) and Electronic Stability Control, ESP®. The optimum interaction of these systems ensures that the SL-Class offers a very high degree of ride safety and outstanding handling. Among the most important performance features of the new Sensotronic Brake Control system are the extremely high dynamism in building up brake pressure and the precise monitoring of driver and vehicle behaviour using sophisticated sensors. In emergency situations, SBC instantly increases the pressure in the brake lines and applies the pads to the brake discs, so that they can grip instantly with full force when the brake pedal is pressed. Furthermore, thanks to variable brake proportioning, SBC offers enhanced safety when braking on bends. Further high-tech innovations which come as standard in the new SL-Class include the vario-roof, which transforms the Roadster into a watertight Coupé in 16 seconds, the state-of-the-art lightweight body with its aluminium add-on parts and exemplary aerodynamics (cd value 0.29 in the SL 500), the sensor-controlled automatic climate control system and an adaptive drive system which automatically adapts to the driver's personal driving style. A new type of head/thorax sidebag in the doors, two-stage airbags for driver and passenger, newly developed integral seats and the automatic, sensor-controlled roll-over bars perfect the standard occupant protection on board the new Mercedes Roadster.